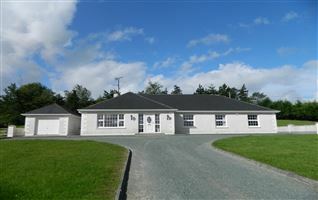 FOR SALE BY PUBLIC AUCTION 22ND MAY 2019 AT 3.00 PM. IN THE KILLASHEE HOTEL, NAAS, CO. KILDARE. 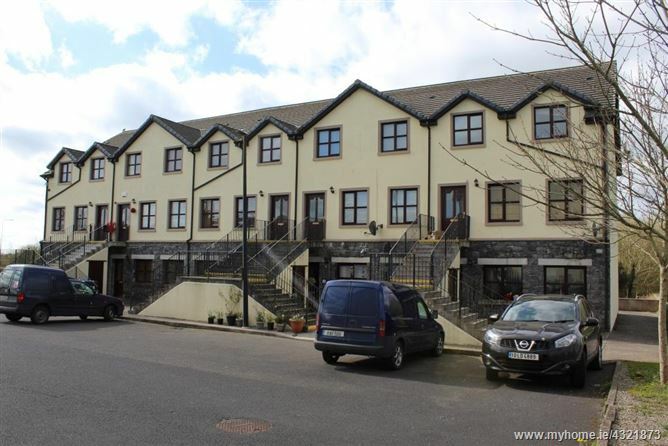 2 bed ground floor apartment with its own door entrance c. 67.87 sq.m. (c. 730 sq.ft.) 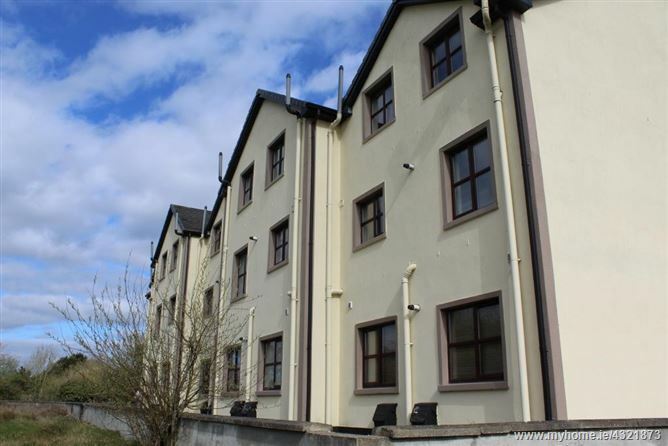 close to the town center and the N4 Sligo/Dublin Road. 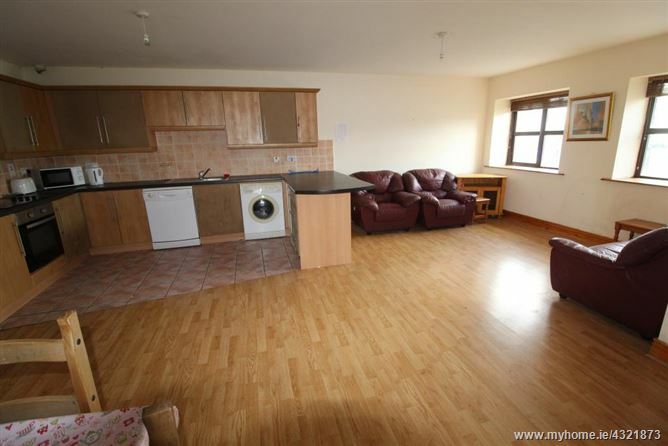 Open plan layout to the front of the property with sitting/kitchen and dining combined. 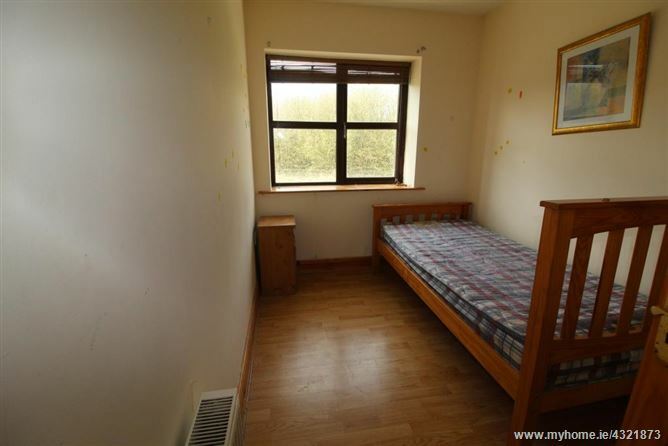 The 2 bed rooms are to the rear of the property, both with built in wardrobes. 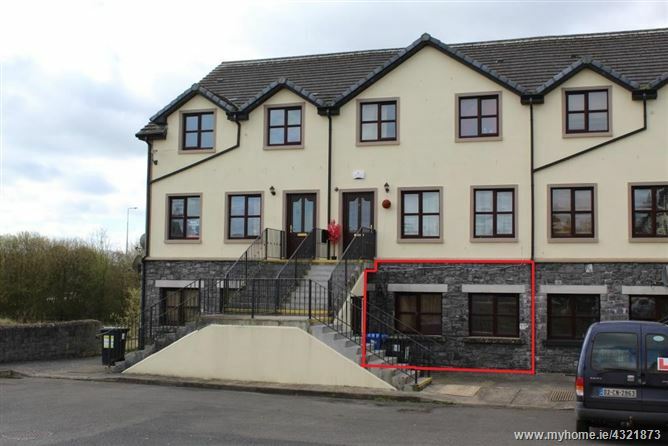 Excellent location with main line rail and bus service. 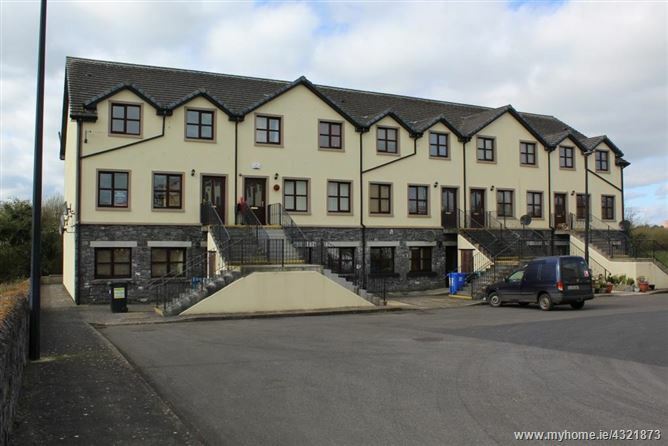 Edgeworthstown is a bustling town only minutes drive from Longford. Mullingar is 28km with the M50 in Dublin just over an hours drive. The new Center Parcs Longford Forest is 21km. Amenities in the town include supermarket, post office sports complex and national school. 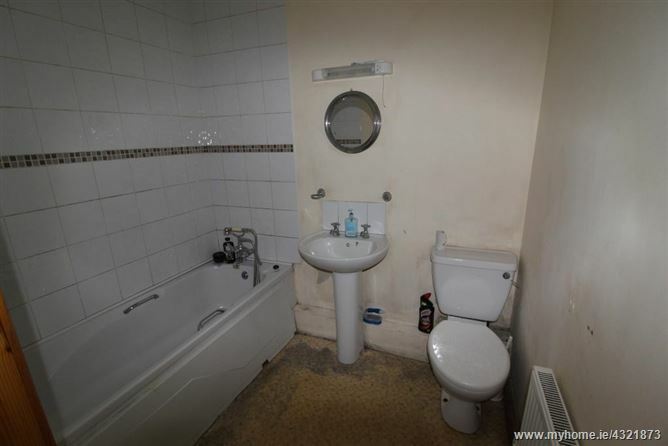 This property requires some TLC but offers excellent value as an investment property in a proven rental area or as a second home in a central location. From the N4 Sligo/Dublin Rd. take the N55 towards the town center. Take the first right before the church which is on your left hand side. Keep left into the Chapel Lane development. Property for sale is in the block in front of you. 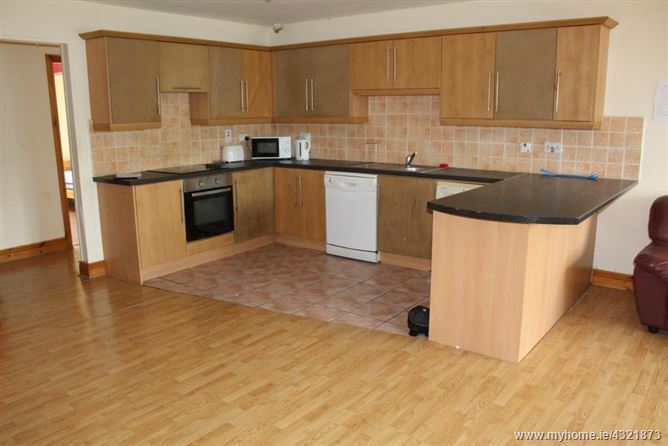 Open plan, laminate flooring to sitting/dining area, tiled floor to kitchen area, radiator, fitted kitchen , 2 windows to the front, fitted kitchen with tiled splash back, integrated hob & oven, washing machine, dishwasher. Laminate floor, radiator, 2 x fitted wardrobes. 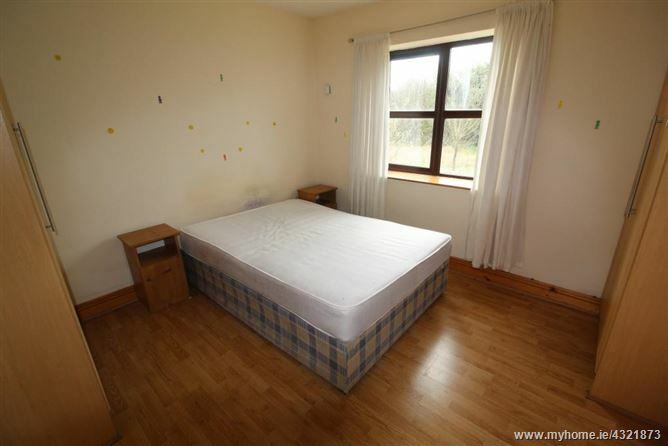 Laminate floor, fitted wardrobe, radiator. wc, whb, bath with tiled surround and shower mixer, radiator, shaving light with socket.